Very Good. 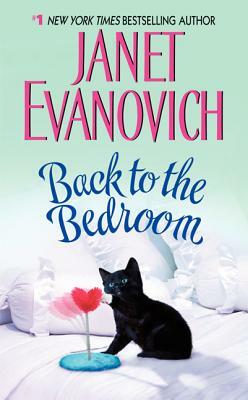 Back to the Bedroom by Evanovich, Janet, 2014-02-25. Mass market (rack) paperback. Glued binding. 258 p.
New. Mass market (rack) paperback. Glued binding. 258 p.
Fine. 0060598859 Ships from Tennessee, usually the same or next day. Very Good. 0060598859 Ships from Tennessee, usually the same or next day. Kathryn Finn lives her life in the fast lane ? rushing everywhere. This hare meets the tortoise when something comes crashing through Katherine?s roof and lands on her bed. David Dodd is just a kid at heart, enjoying life. Two more ill-matched people could not be imagined. David has noticed his neighbor rushing past his window on many occasions. However, the day the camera pod crashed through Katherine?s ceiling was the first time they met. He decides he?s going to marry Kathryn; she decides David is not good marriage material because he constantly seemed to play. This is the first Elsie Hawkins book. One can already see Grandma Mauzer emerging; a saucy older person eager to shoot anyone who looks ?wrong. ?